In modern times many of us look forward to the opportunity to take some time for ourselves during Easter. However if you want to do something a little different this year during Holy Week, consider heading out to Sicily for a fascinating time. Holy Week covers the series of days up to and including Easter (or Holy) Saturday. In Sicily it is known as Settimana Santa and it is marked in many different ways. Indeed if you are used to the way other countries do things, you’ll appreciate the chance to get a Sicilian view of things as well. In Sicily, Settimana Santa is a more serious event, although this doesn’t mean it is dull and without life. Far from it in fact – while the modern Western celebration of Easter is far removed from the religious reason for it, this element does not go completely unnoticed among those with a penchant for chocolate! This is a particular highlight of the week itself. An event called the Processione dei Misteri di Trapani takes place throughout the day in Trapani. Colloquially known as The Misteri, this event sees a series of floats travelling in a procession through the town. These floats represent various scenes and moments from the Passion, and many people turn out to watch the procession go by. Add in the presence of music and you get a feel for just how seriously Sicilians take this particular festival, and how much they enjoy it. As an interloper on holiday in the region, you too have the opportunity to sample Holy Week the Sicilian way. Indeed, this particular procession tends to be a highlight for many holiday makers to sample as well. Further inland in a south-easterly direction from Trapani lies Caltanissetta. This too is another place you may want to visit during Holy Week on the island. This is because it has been the centre of many celebrations and preparations for some two centuries or more. Every day sees events of some kind being laid on for townspeople and visitors. 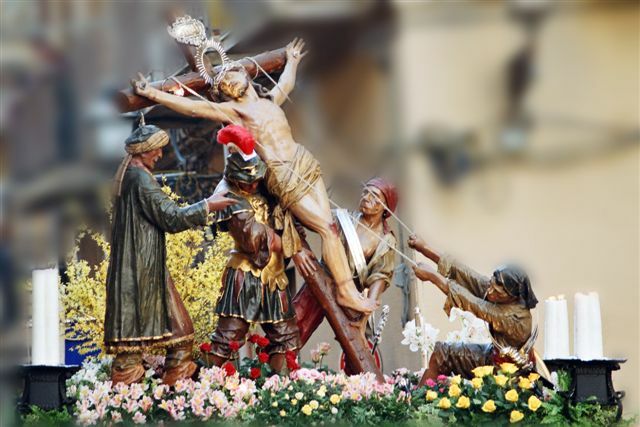 Take Holy Wednesday for instance, a day when the Real Maestranza of Caltanissetta takes place. This involves craft organisations and harks back to ancient trades that were once integral to the area. There are connections between certain trades and specific parts of the Easter story. For example the bakers have been associated with the Last Supper, and become a relevant part of the procession in this way. 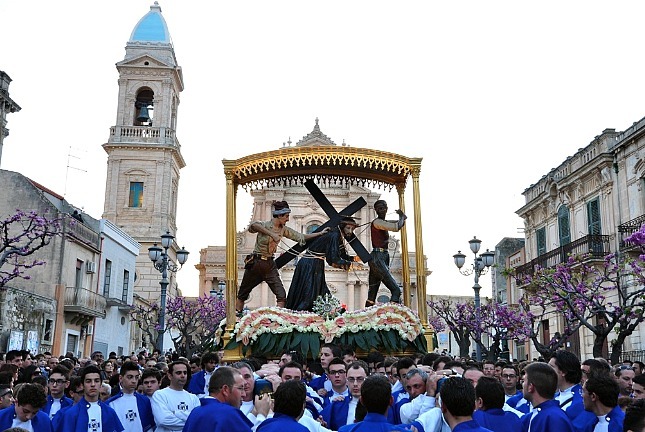 As you can see there is a lot going on in Sicily during Holy Week. If you are considering visiting during this time remember it is a religious holiday and many shops and other facilities may not be open for parts of your stay. However providing you are prepared for this, it is well worth planning a Sicilian break during this festival, perhaps by staying in a luxury villa for example. Sicily certainly knows how to celebrate Easter and to remember the various events that make this a key religious festival. Witnessing the many processions that take place in various locales during the week is a wonderful way to celebrate Easter in a very different way indeed. Massimo has a carefully chosen collection of spacious villas which are perfect for family groups, each one unique in style and set up.